신기동의 느티나무는 수령이 350년 정도로 추정되며, 높이 13.9m, 둘레 7.57m의 크기이다. 줄기는 지상 2.0m 정도에서 네 개로 갈라져 비스듬히 퍼졌는데 가지 일부분이 죽거나 썩어가고 있다. 이 나무는 인동 장씨의 시조가 심었다는 이야기와 나무의 아래·윗가지에서 동시에 잎이 피면 풍년이 든다는 이야기가 전해내려 오고 있다. 한때는 마을의 수호신으로 신성시 되어 왔으며 정월 보름에는 온 마을 사람들이 모여서 동네 제사를 지내왔다고 한다. 신기동의 느티나무는 마을의 수호신으로서 우리 선조들의 생활문화의 중심이 되어온 오래된 나무로 문화적 자료로서의 가치가 높아 천연기념물로 지정·보호하고 있다. 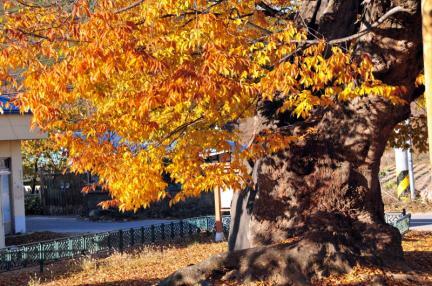 Zelkova grows in warm areas such as temperate and subtropical regions and spreads in Korea, Japan, Taiwan, and China. Its flowers bloom in May, and its fruit, which is disk-shaped, gets ripe in October. 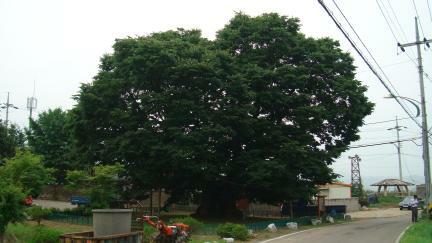 Among the shade trees that had existed in the villages, Saw-leaf Zelkova played the most important role. 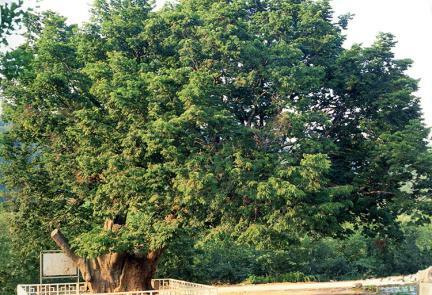 The tree is presumed to be 350 years old, with height of 13.9 meters and girth of 7.57 meters. 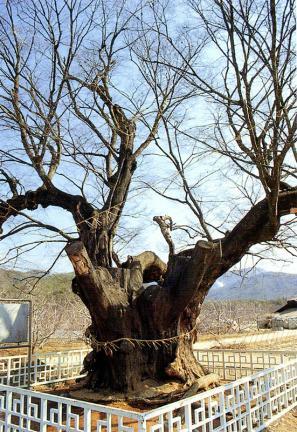 Its branches are divided into four parts and are separated diagonally. Some of the branches are dying or rotting. 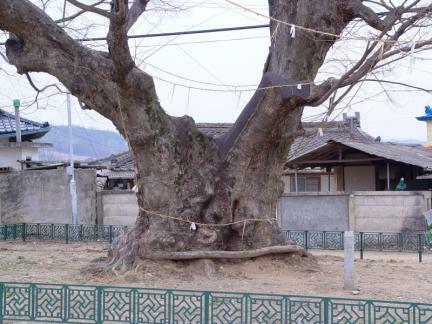 Legend has it that the tree was planted by the forefather of Indong Jang Clan and it is said that there is a bumper crop when the upper and lower branches sprout leaves at the same time. 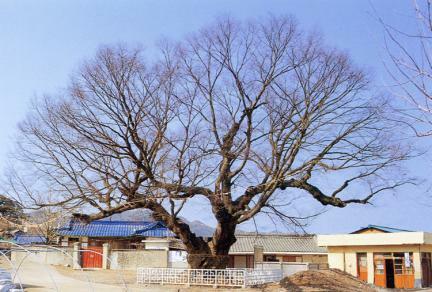 It used to be worshipped as a village guardian; on the 15th of New Year, all villagers gather together under the tree and pay homage to it. 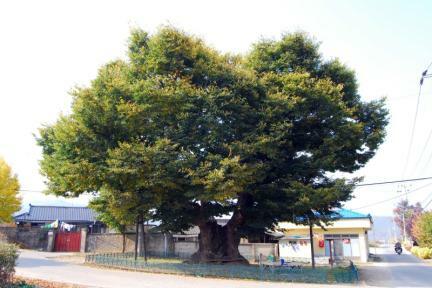 Since the Saw-leaf Zelkova of Singi-ri is highly valued for its academic and cultural implications, it is designated and protected as a Natural Monument.